You wouldn’t know by meeting Todd Leopold that he is one of America’s best distillers. Soft spoken and amazingly understated, Todd Leopold doesn’t boast about his talents or accomplishments; instead, he lets his spirits do the talking. We met Todd and his brother Scott (together known as Leopold Brothers) in a small industrial office park at the outskirts of Denver. 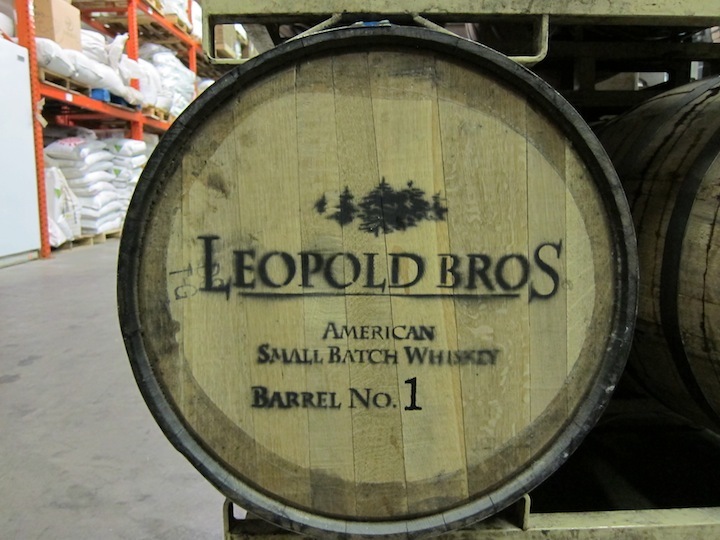 Unlike many other craft distillers, Leopold Bros doesn’t have a tasting room, they don’t really give tours, and they don’t really seek out the media. Instead they spend as much time as humanly possible making a line of fourteen different spirits, including everything from their award winning gin (which we named one of the best gins in America) to an alpine liqueur for their friends who ski and snowboard. As we entered the distillery, Johnny Cash was blasting on a small stereo. ”Johnny Cash is good for the soul,” commented Todd, turning it down enough so we could speak but letting it play as the soundtrack for our time at the distillery.